This set of photos is of the Babystyle Oyster Max in tandem mode. 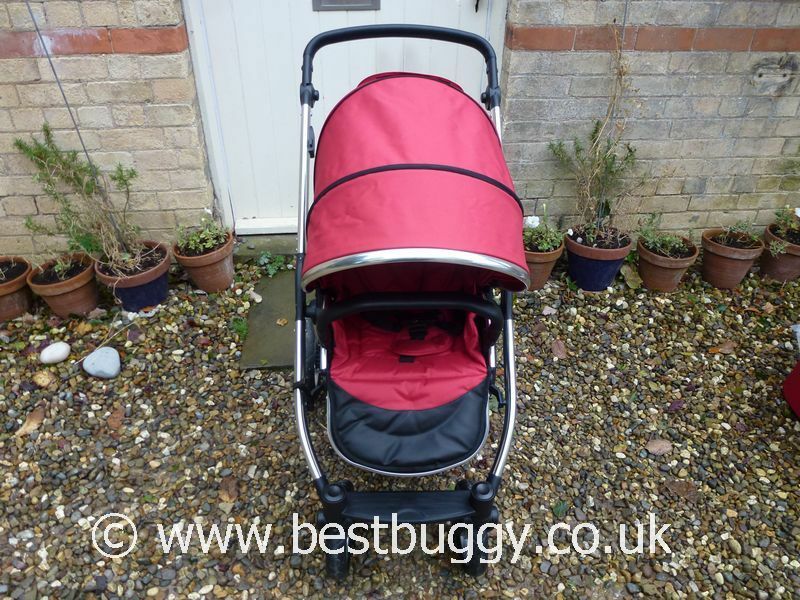 It is designed to be used in conjunction with the set of photos of the pushchair in single mode, here on Best Buggy, which gives more detail about the pushchair chassis, fold etc. This set of photos shows you what is possible on the Oyster Max, but also there are some photos included to show how certain positions or options are not possible! What we like about the Oyster Max is that it is a pushchair that is a true single pushchair, but with the removal of two blanking plates, the addition of wheels guards and two hook on adaptors, the Oyster Max can transform into a great tandem pushchair for two children. There are photos at the bottom of this photoset which show these minor changes. The lower seat unit simply then drops into the two adaptor sockets. I must admit, as I opened the small boxes that the Oyster Max arrived in, for the first time I thought my eldest child (rising 4) would not fit in the seat unit. But as I looked again, I realised that the hoods slide up the seat frames, and the presence of a lower footrest above the front wheels, meant that her feet could comfortably rest. I have to say I was utterly gobsmacked when I put her in the seat unit (105cms tall) and realised that she looked extremely comfortable. The Oyster Max in tandem mode pushes easily too! 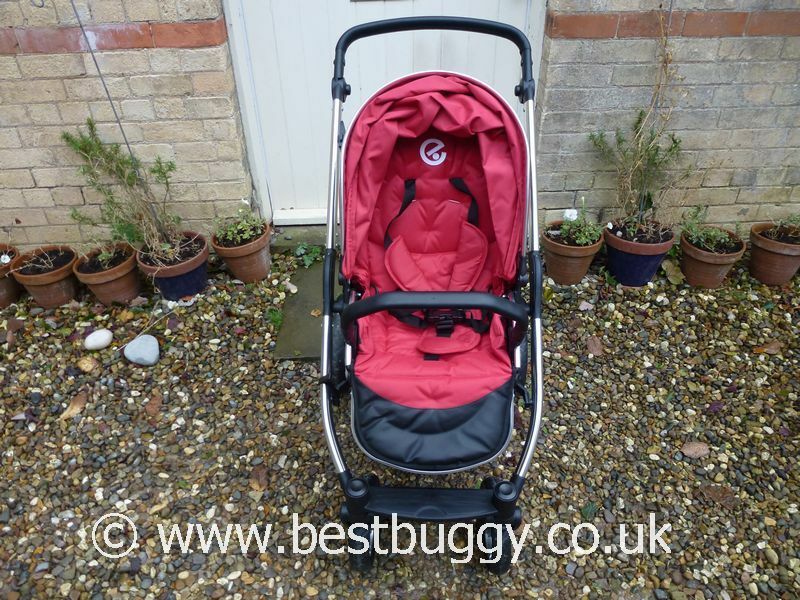 There appears to be just one small change from the Harrogate Nursery Fair that we can spot – that is that the lower seat only has one panel in the hood rather than two. Please note that we were not supplied with carrycot height increasers. These height increasers raise the carrycot up by several cm’s to give the lower child more space. Some of the photos we took at Harrogate use these height increasers, and are worth referring back to in order to see the difference they could make. We discovered after taking these photos that we do not have the correct car seat adaptors. 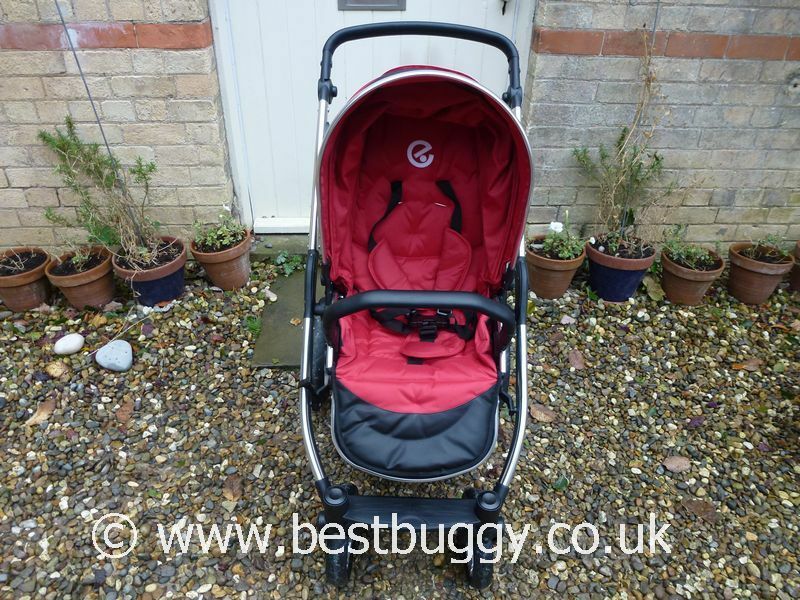 Therefore whilst we have included car seat photos in this photoset, again there will be more accurate photos in the Harrogate photoset, here on Best Buggy, of the Oyster Max with car seats on the chassis.